One of the most visited artistic tourist attractions in Naples, my adopted city, is the Veiled Christ in the Sansevero Chapel. This statue represented a life-sized Jesus after his death, covered in a death shroud, and is celebrated for its realistic and masterful sculpting of the body as seen beneath the fabric. 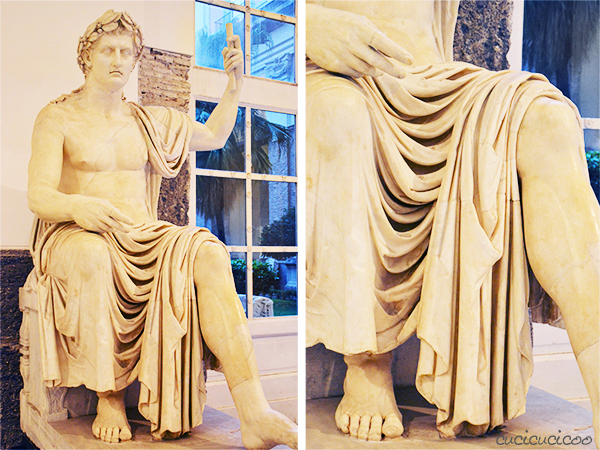 But this masterpiece wouldn’t be half of what it is if it weren’t for the artist’s skillful use of fabric draping. The drape of a fabric is one of its key characteristics, yet there’s no real way to measure and quantify it. 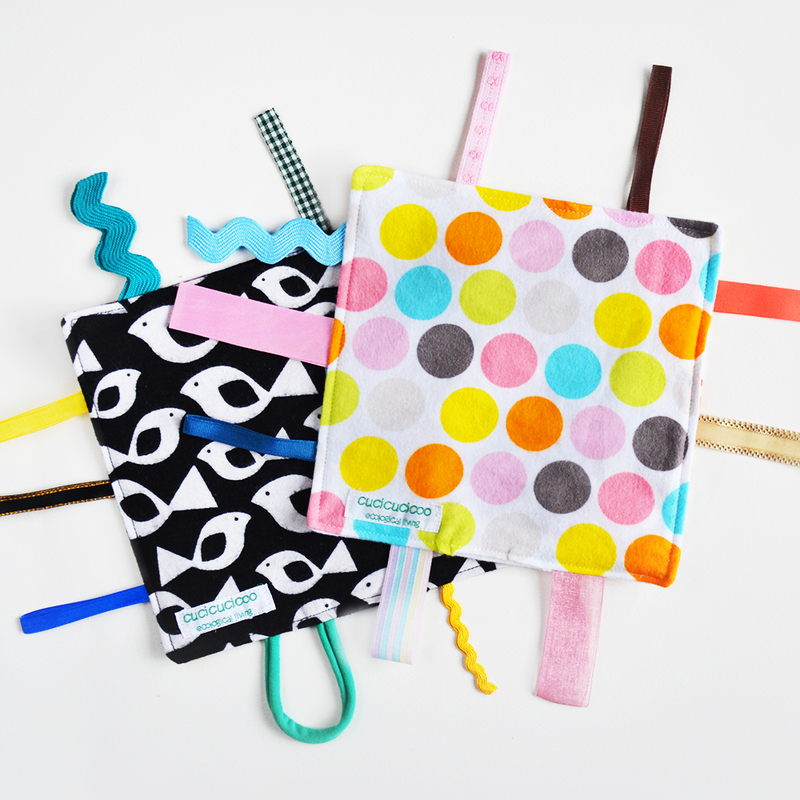 It refers to the fluidity or rigidity of the fabric, which has an effect on how the fabric falls and creases, therefore influencing what your sewn project ends up looking like. Let me show you what I mean. 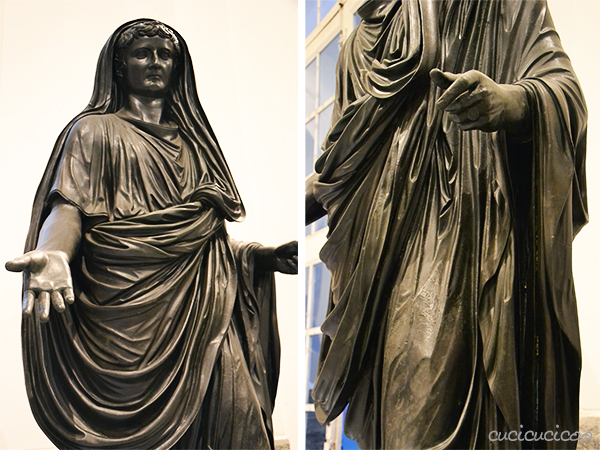 On my last visit to the National Archeology Museum in Naples, I was struck by the incredible sculpting of the fabric folds in many of the museum’s ancient Roman statues. Look how the fabric hangs from the body in many creases. 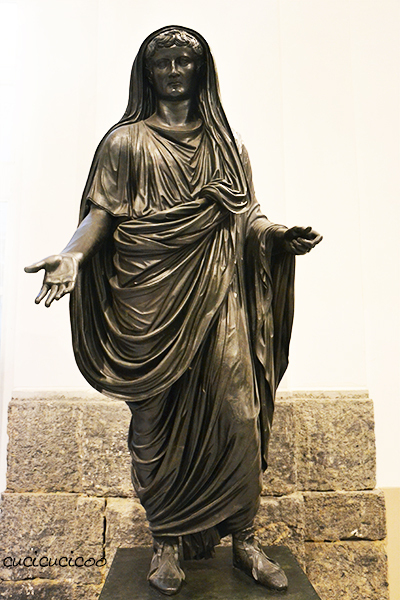 The above statue’s body is covered in a great deal of fabric (in stone, obviously), yet you can see the body’s form beneath the cloth. This is because the artist imagined a fabric with a good drape. 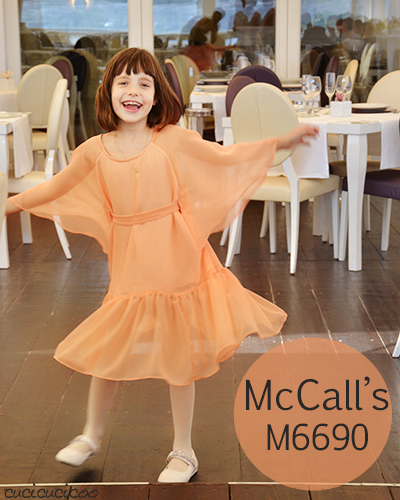 A fabric with good drape is very flowy, meaning that is hangs straight down in many small creases and folds. When placed over a body part or any other object, it clings to it, showing the form of what’s below it. 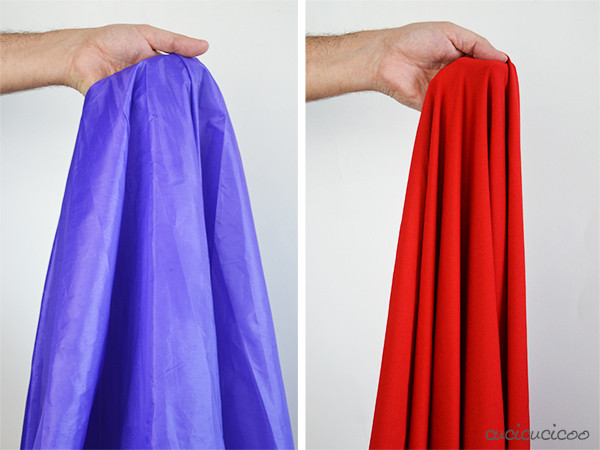 Silk, satin and chiffon are a few of the fabrics which almost always have high drape. On the other hand, a fabric with low drape is quite rigid. It hangs down in fewer wide creases and has a greater volume when held up because of these stiff creases. If you place it over the body or an object, it conforms only slightly to the shape below it because the stiffness holds it in its own shape. Denim, courduroy and upholstry fabric are a few of the fabrics which almost always have low drape. Drape is not the same as weight. 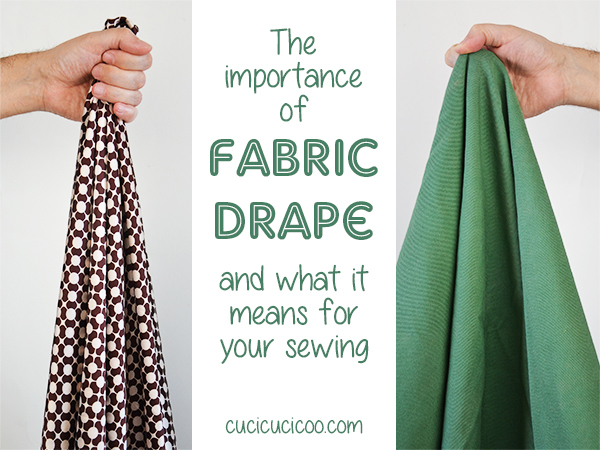 There is frequently a correlation between fabric weight and drape, but not always. 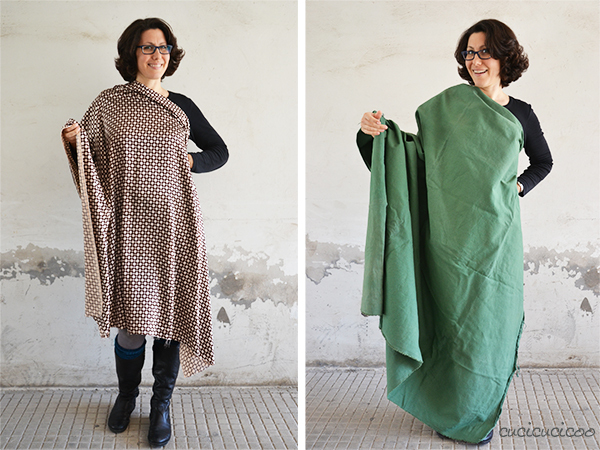 Just because a fabric is lightweight doesn’t mean that it will have a good drape. And vice versa, not all heavy weight fabric will have low drape, though usually it does. In the pictures above you can see cotton jersey and a sheer curtain. They’re both lightweight, but this particular jersey is a slightly heavier than the curtain. However notice that the jersey hangs in more smaller folds, showing its higher degree of drapability. Let me show you another example. 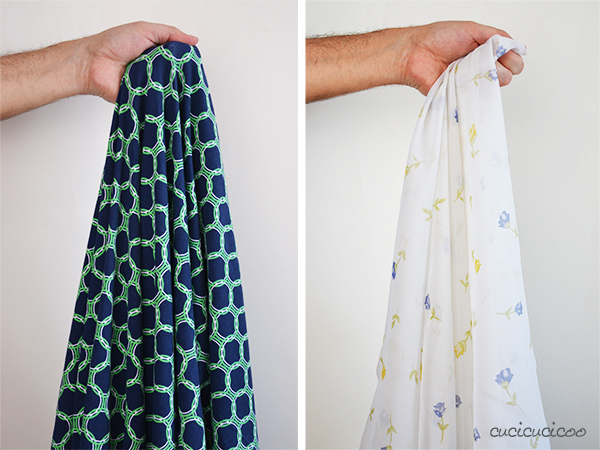 On the left above is umbrella fabric that I removed from an old umbrella (here’s how and why to do it) and on the right is swimsuit fabric. 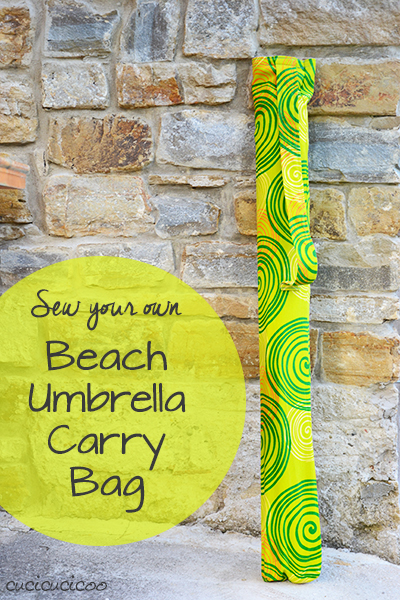 The umbrella fabric is extremely lightweight, but very stiff, so it hangs out wide with very big folds of fabric. The swimsuit fabric, on the other hand, is deceptively heavy (a stash of this type of fabric took up a good part of my luggage weight allowance on my last trip from the United States! 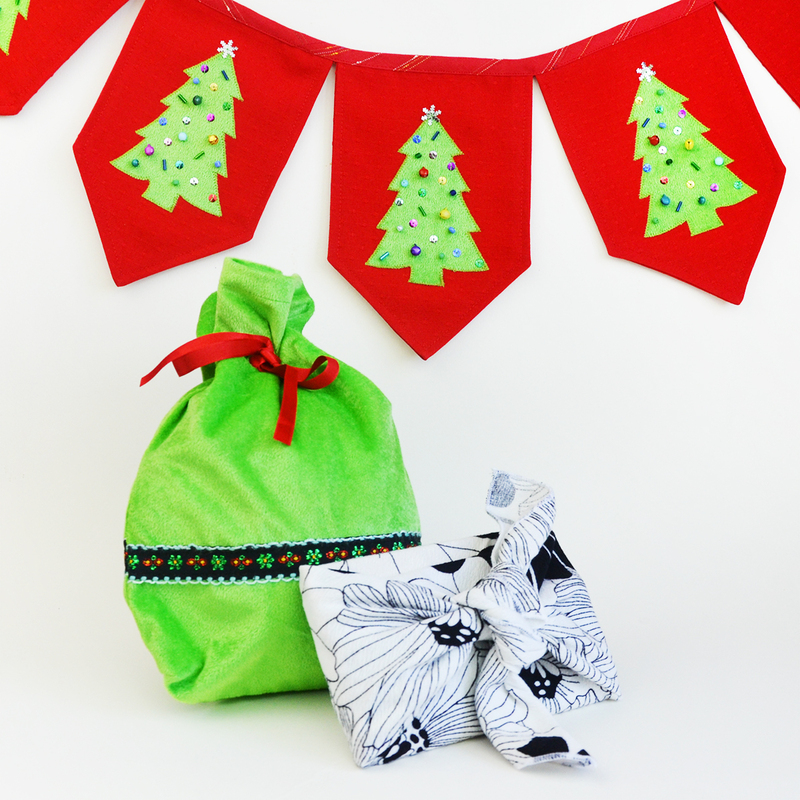 ), however its high drape makes it hang straight down in many heavy creases and folds. 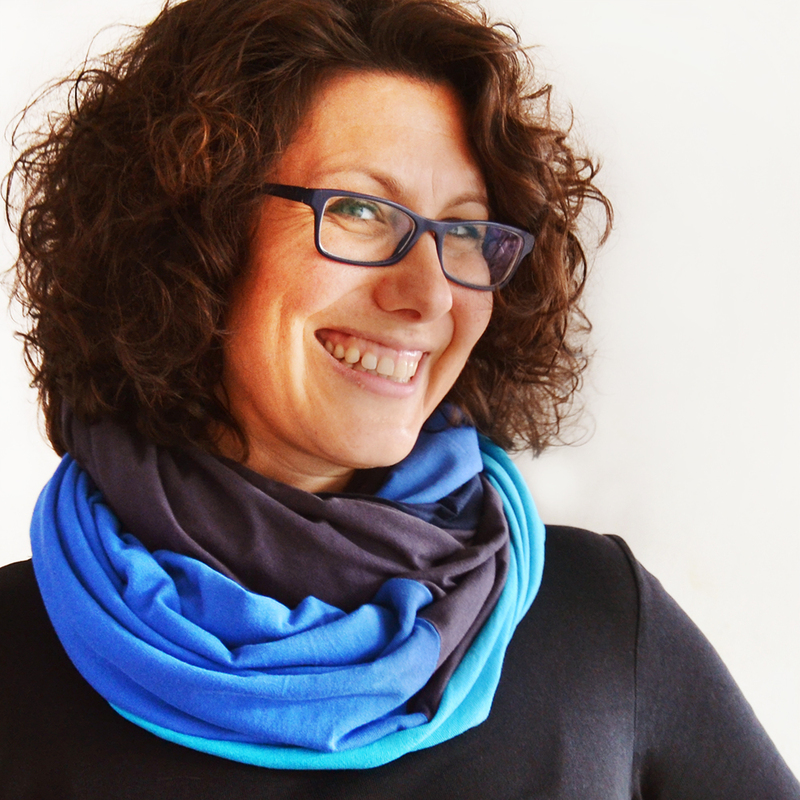 Is high drape better than low drape? Absolutely not! 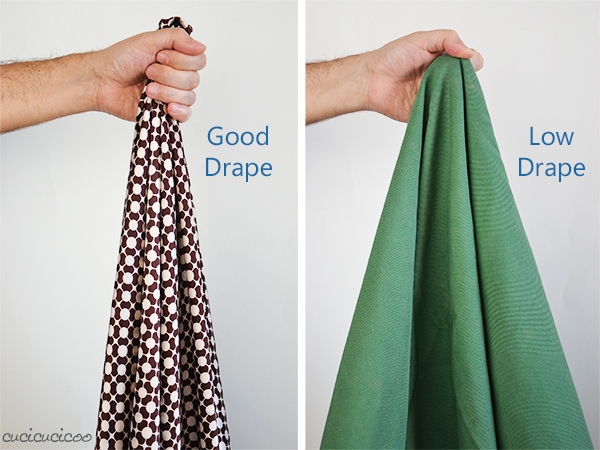 Even if this characteristic is sometimes referred to as “good drape” and “bad drape”, it’s important to understand that neither degree of drape is better or worse than the other. They are simply used for different types of projects. Fabrics with good drape are often used for garments such as blouses or long flowy skirts, which should drape over the body parts without hiding them and be fluid in their movements. Fabrics with low drape are usually used for non-garment items, such as bags and furniture covers, which require the stiffness, but also for some garments which are meant to hold a specific shape, such as pencil or A-line skirts, or other clothing items which need to be more rugged, such as overalls and jeans. In the picture above you can see the difference in how a fabric with high drape (the satin on the left) flows over the body, as opposed to how a fabric with low drape (the upholstry fabric on the right) stiffly covers the body, hiding it. 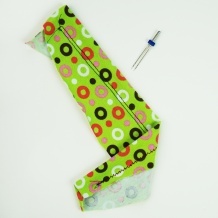 Neither fabric is better than the other, they just have different uses. I will use the satin for a flowy circle skirt and an infinity scarf, while I’ll probably use the green fabric for a tote bag. So, if you want to look as great as this guy, remember that fabric with good drape, that hangs in many folds and clings to whatever is holding it up, is perfect for flowy clothing that takes the shape of the body, while fabric with low drape, which falls in thick, stiff creases is too rigid for most (but not all) garment sewing, but is perfect for any project in which the fabric needs to hold the shape that it’s sewn in without conforming to whatever is under it. 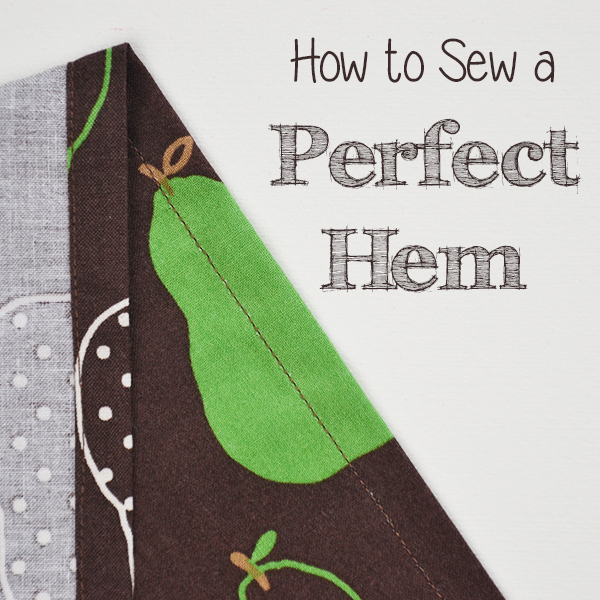 It is up to the sewist to decide which type of fabric drape is most appropriate for the item that she’s sewing, or to take note of the suggested drape of the required fabric if given in sewing patterns. 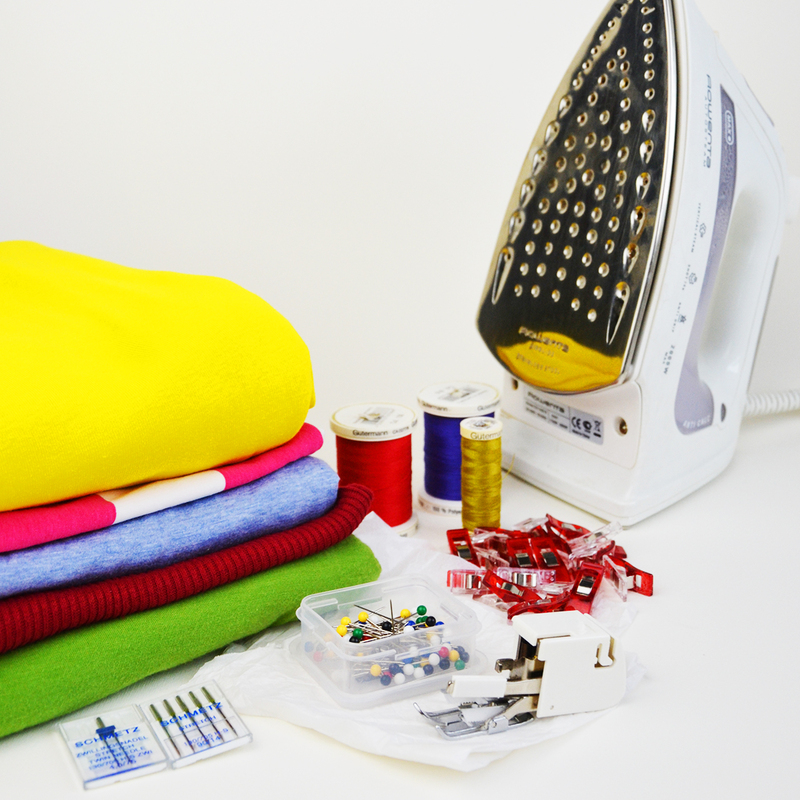 If fabric is chosen considering both weight and drape, the project will have the characteristics that you’re looking for! 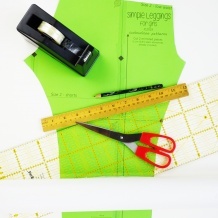 Want some ideas for using fabric with high or low drape? Here are two from the Cucicucicoo archives! 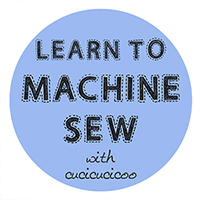 This lesson on the importance of fabric drape is part of the syllabus of Cucicucicoo’s FREE beginner’s sewing course. 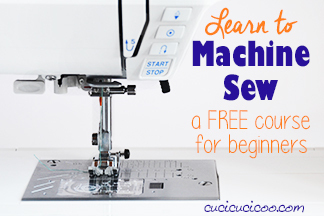 Check out the other lessons if you’re learning to sew, or just want to build your skills! 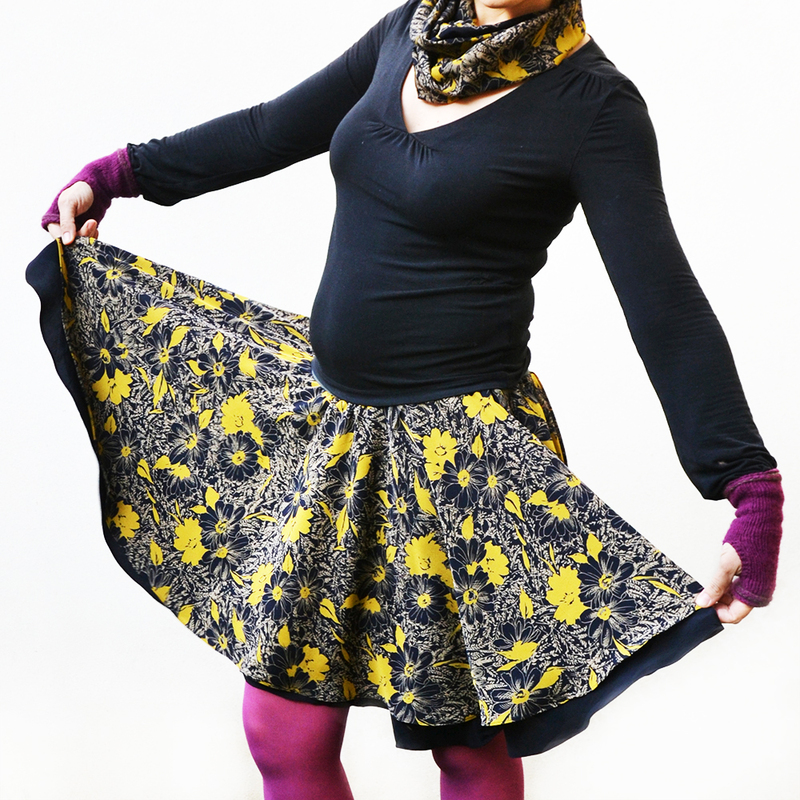 Next articleHow to sew a circle skirt – free pattern! Grazie per la lezione sulla mano fluida opoco fluida, io che cucio per hobby non lo sapevo e questo mi aiuterà per i miei prossimi lavori. Non so perché, Silvana, ma non si parla molto della mano di un tessuto, quasi solo del peso. Sono contenta che questa lezione ti sarà d’aiuto! I tuoi post sono sempre utili!! Grazie!! 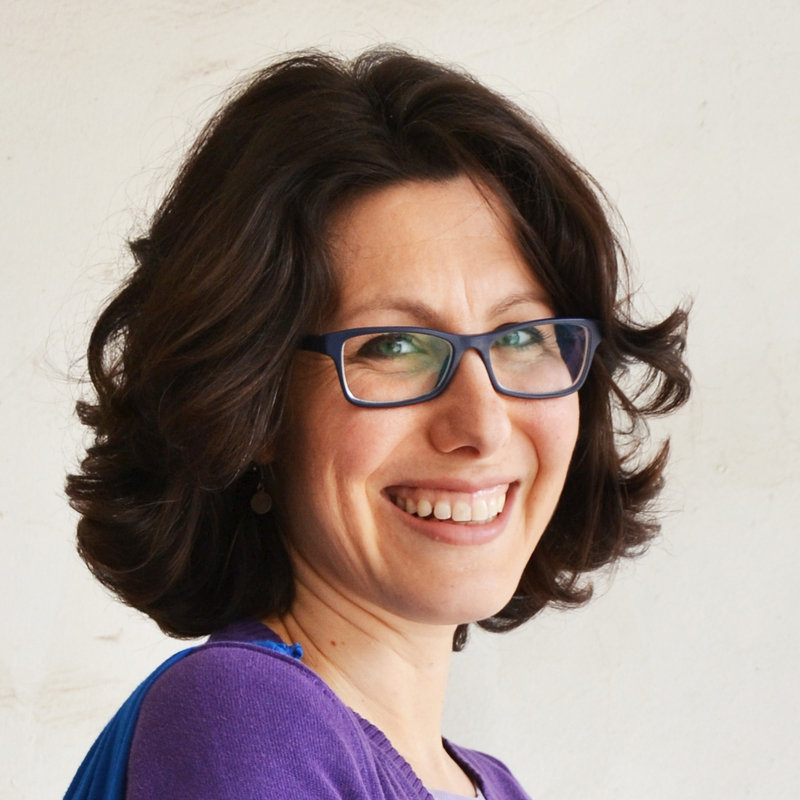 Hai ragione, Elisa… a volte è davvero difficile capire quale sarebbe la stoffa migliore per un progetto, ma spesso non è che ce n’è una migliore, solo che cambia effetto! Ed è proprio per questa storia della mano che non mi piace molto comprare i tessuti online, senza poterli toccare e capire meglio come sono! Spero che ti sia utile, Anna! Fabric Drape Tester(TF118), to measure and calculate the coefficiency of the drape of fabrics using image processing technology. 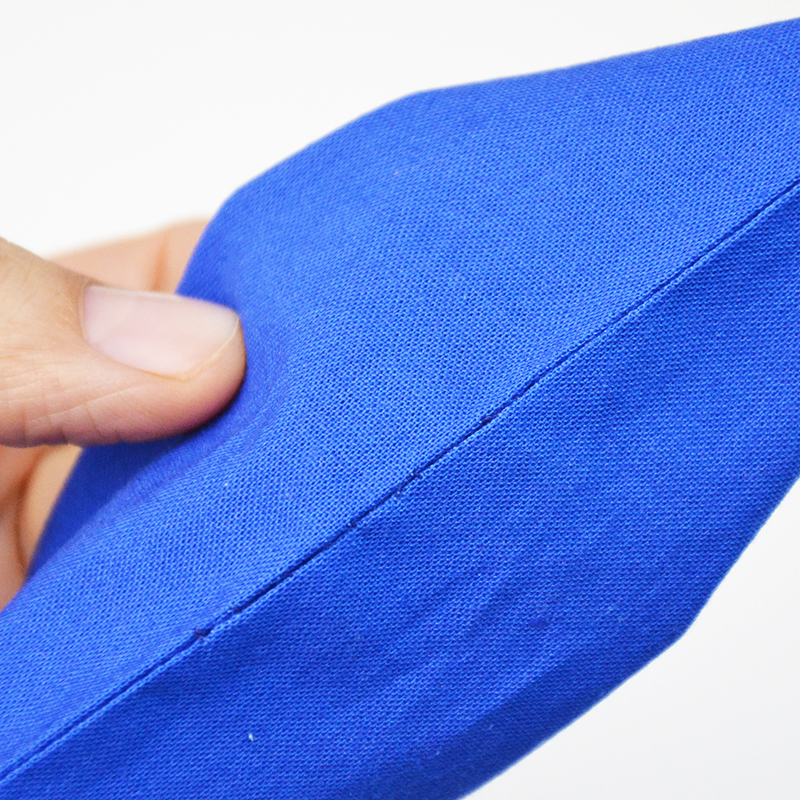 It can be used to test the drape property of all kinds of fabrics.